Is it crazy to think that something you have been doing for years could be contribuiting to hair damage? Lets investigate! When you wet comb your hair after the shower, what is the one thing you might do? Take the comb, start at the front of the hairline and comb back. Do you do this? I am sometimes guily, too! Apparently, this is the worst way to detangle! The way you detangle your hair can either hurt or help sun, wind, salt and chorline damaged strands. So, are you actually combing your hair the right way? Since hair is in its most delicate state wet, we must be gentle with it! It is vital to detangle from the bottom up, starting at your ends not your scalp. Lets call this the "Bottoms Up Method". How will starting at the tips of your hair prevent unnecessary breakage from occurring? 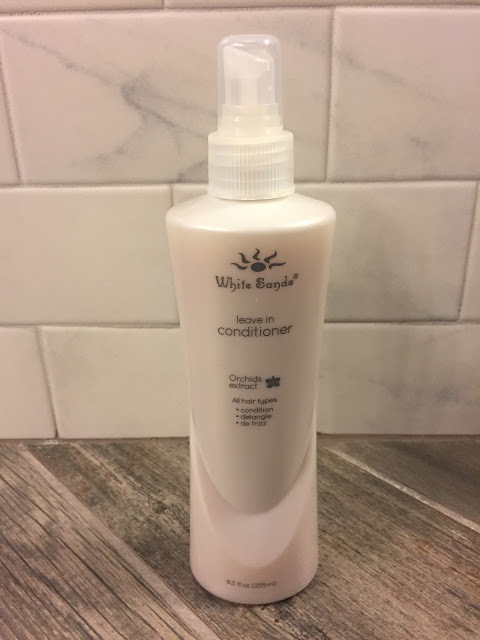 For extra protection while detangling, pair this technique with a wide tooth bone comb and White Sands Haircare's Spray Leave in Conditioner ($15). With its unique combination of green tea leaf and orchid flower extracts, these powerful anti-aging ingredients fight free radicals, while preventing tangles and tears to make wet combing even easier. This Leave-In Conditioner has "Selective Conditioning” properties will also nourish & smooth areas of the cuticle that need repair the most. This targeted delivery creates an intelligent product that knows exactly where damage hides; giving the weakest parts more TLC after a day in the sun. I am a big fan of the White Sands haircare line and this Leave-In Conditioner is one of my favorite new products in my haircare routine. I really feel that it is helping the overall condition of my hair. It makes combing out my unruly tangle-prone hair much easier! Plus, it smells amazing.